Nice looking blue hull sailboat. Looks great on the water or on the road. Easily towed by Nissan Pathfinder. Comfortable to sail with four people. But, will sleep six. Have used as a camper and a daysailer. 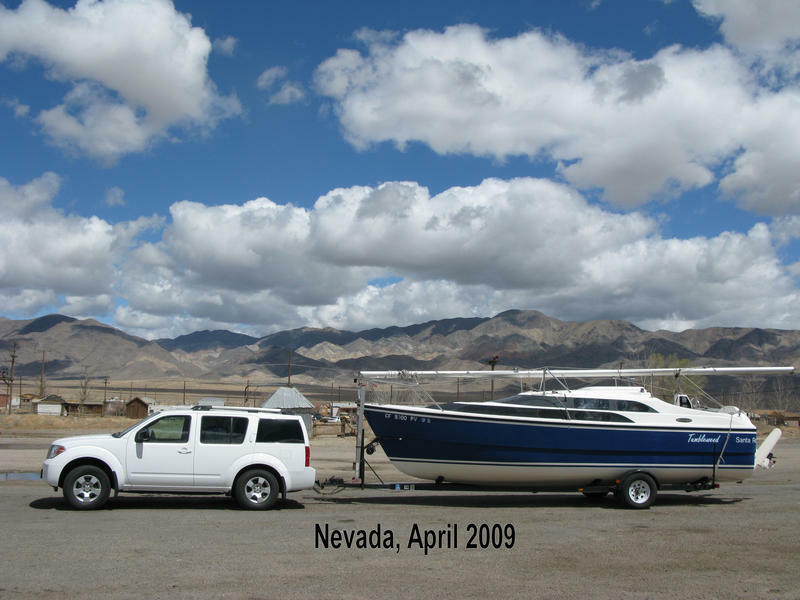 Have towed to Florida, Wisconsin to Washington State and back to California and many stops in beween. 50 hp Johnson OB, sink, stove, enclosed head, dual batteries with selector switch. VHF rado, Depthfinder, Chart Plotter. Bimini. Four auto inflate life vests.